Secular party up for municipal elections tells stores to advertise themselves as being 'Open for business on Tisha B'Av'. The secular Greens party running for Tel Aviv municipal elections called on businesses to affix a sticker on their windows declaring them open on the weighty Tisha B'Av fast day. 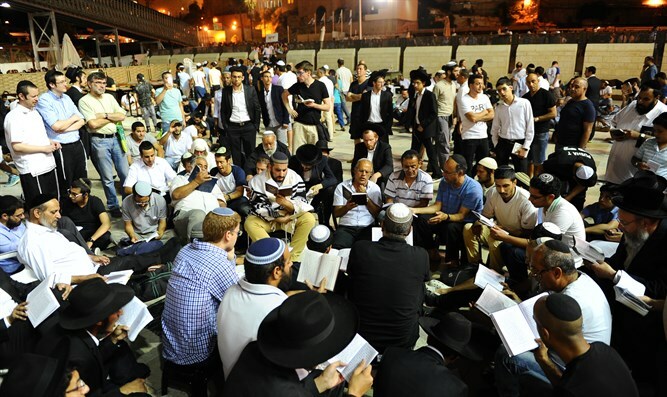 "Business owners: Are you open on Tisha B'Av? The 'Open on Tisha B'Av' sticker will bring you more customers. Come take one! Stop harassing business owners and the secular public. Let the cafes, restaurants, and supermarkets stay open on Tisha B'Av (starting the night before). Enough threats, warnings, tickets, and fines for businesses that remain open on Tisha b'Av. The Tel Aviv Municipality mustn't take part in the insane campaign of religionization and coercion that sweeps the country," the faction members wrote on their Facebook page. 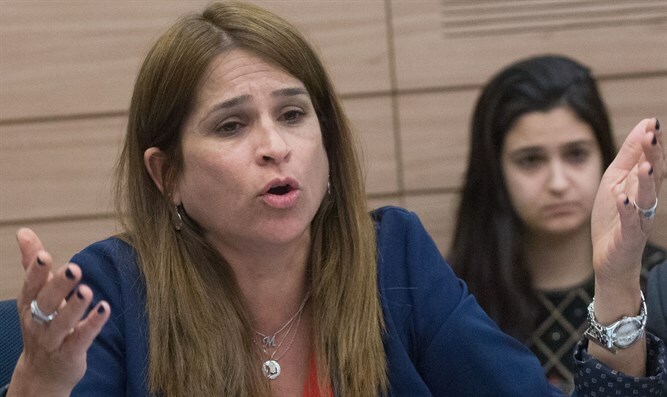 MK Merav Ben-Ari (Kulanu) castigated the campaign,. "Again, I, the liberal, cannot understand why the need to call on cafes to open on Tisha B'Av - and to distribute stickers yet for a day that matters to a large majority of the people? It's gratuitous, and only adds to the division and hatred," she wrote. Jewish Home Chairman Education Minister Naftali Bennett wrote on his Facebook page: "They sent me this picture and told me there's a councilor trying to gather votes through baseless hatred and stoking the embers. I really don't want to specifically relate to this wretched initiative, only to say that I travel among schools and army bases and in the poorer areas, and meet thousands of Israelis every week from all sectors and all walks of society and I have no doubt: We are better than that. This sticker doesn't represent the atmosphere in Israel, which is respectful and tolerant. "True, there will always be those trying to provoke quarrels for personal benefit, and unfortunately the media will always locate and publicize these margins, but the people of Israel love their tradition and know, despite the disagreements, how to be together. "We are in the Three Weeks," Bennett said, referring to the three-week mourning period commemorating the destruction of both Holy Temples on the Temple Mount. "And I have a request from you, and I accept to take this upon myself as well: Let's face each other warmly, let's cultivate baseless love."